The exhibition Fate of Alien Modes charts a terrain emerging at the intersection of artistic and cinematic models and discourses. It foregrounds different forms of representation generated by each respective practice, to render visible the mechanisms operating within. The cinematic apparatus is understood as an economy unfolding into a spatiality of different modes of production, thus allowing for a changed perspective on art. The shift from being “on cinema” to drawing on an economy illuminates and recollects the structures, forces, and subjects at work in the relations between society, cinema, and culture. 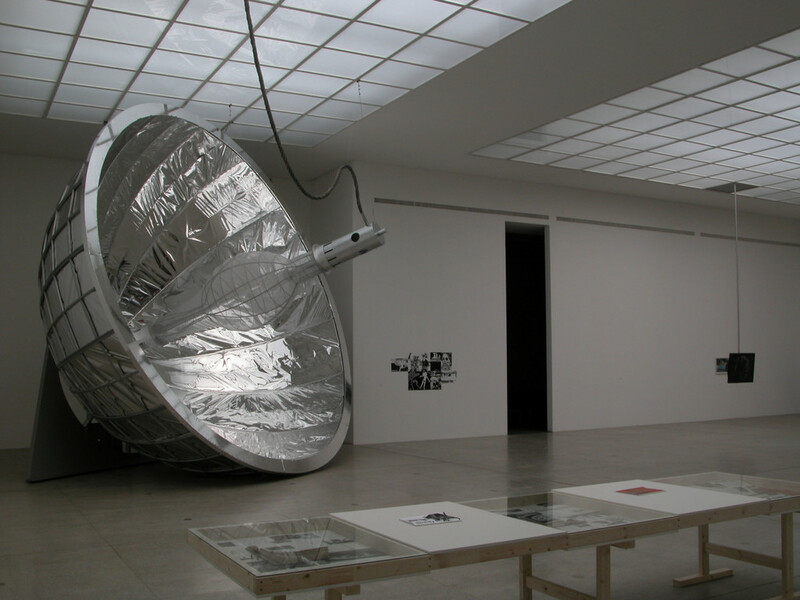 These subjects are developed along the lines corresponding to the framework of art institutions by reflecting on contemporary artistic and curatorial practices. Fate of Alien Modes spatializes the cinematic field to reveal it as a set of running scripts. Instead of conflating art and cinema within the conventions of projection spaces and mini cinemas only, the exhibition focuses on dynamic scripting processes to oppose the notion of finished and self-contained artworks. Thus it highlights different modes of production versus the concept of the Secession as a mere exhibition hall and repository for art works. The institutional container is rendered as tenuous construction and “spatial narrative.” It represents a diegetic world translated via works and commissions, and in this way attempts to realize and release the economies of cinema through a three-dimensional interplay of projections, soundscapes, scripts, and indexical archives. 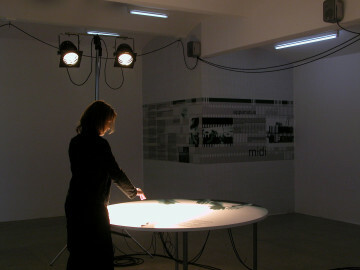 The exhibition’s coordinates compose a space containing script-based formats, temporary (set) architecture, films and videos, sound pieces, and open, performative processes including the actual shooting of a scene for a film, as a method of unfolding the “Alien Modes” as a collage of diverse labors and practices comprised and synthesized in the cinematic apparatus. 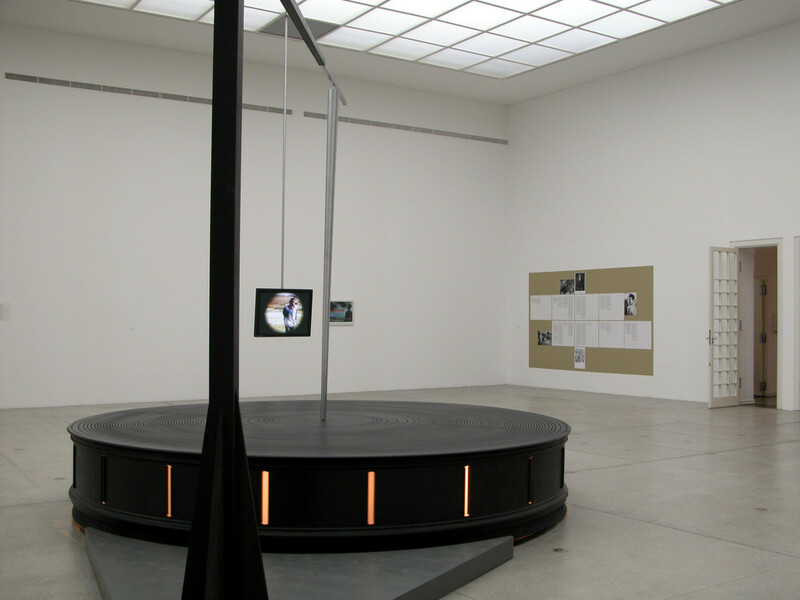 The contributions were devised through a curatorial framework that looks awry at the flat projection of cinema as merely a screen enlarging life. They put into effect the complex economy of a spatiality unfolding through and within distinct modes of production. They deal with ever-different subjects, as well as subjects addressed: the viewers. 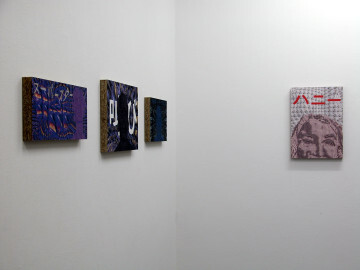 A number of contributions were generated in dialogues between curator and invited artists/producers, to select and reframe existing works specifically for this context, or to develop commissions and new pieces oriented along suggested plot points. Fate of Alien Modes reflects on the differences between cinemas and art institutions by suggesting a process of constant discovery. 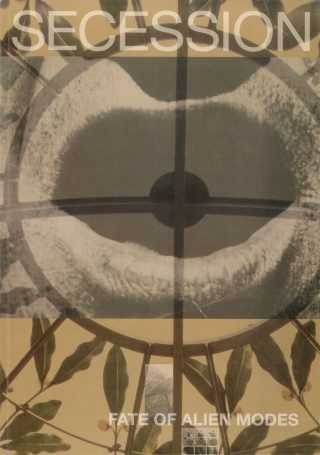 It links a set of fields and methods to register the unique distinctions of production formats pertaining to cinematic and art practices, and draws on the well-established dialogue between modernist as well as avant-garde cinema and art, thus avoiding the re-institutionalization of cinema as an instrument of power within the art context. 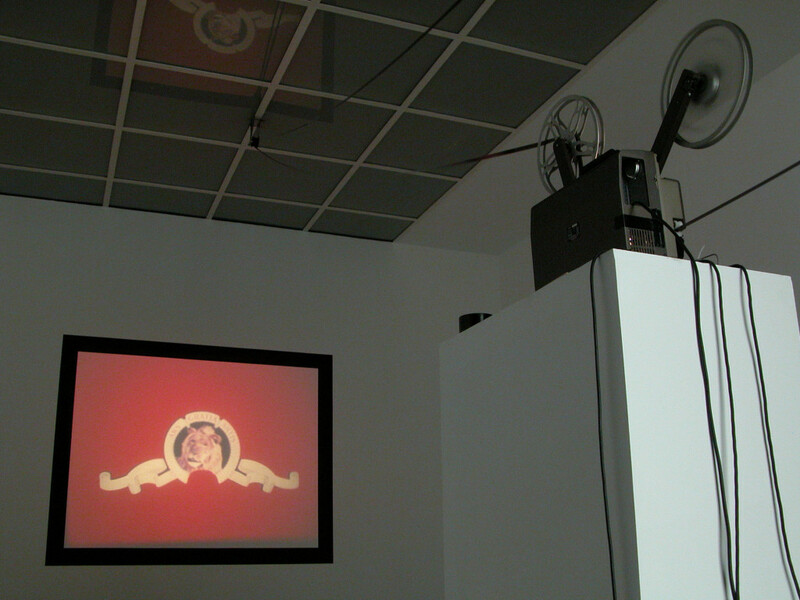 The project attempts to unravel the history of the interrelations between modernism and cinema, which inside of art spaces often remain safely interred within a “cinema nostalgia.” A different perspective on the subjects of cinema’s history in the art context is revealed, thus highlighting contemporary discourses on the play and conflict of the forces at work between spectator, projection, and screen. 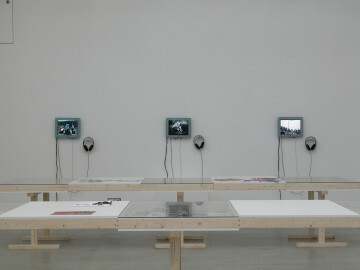 Besides film and video installations, Fate of Alien Modes embraces script-based formats, temporary set architecture, sound pieces and performative processes, including the actual shooting of a film. Thus it unfolds the “alien modes” of the title. 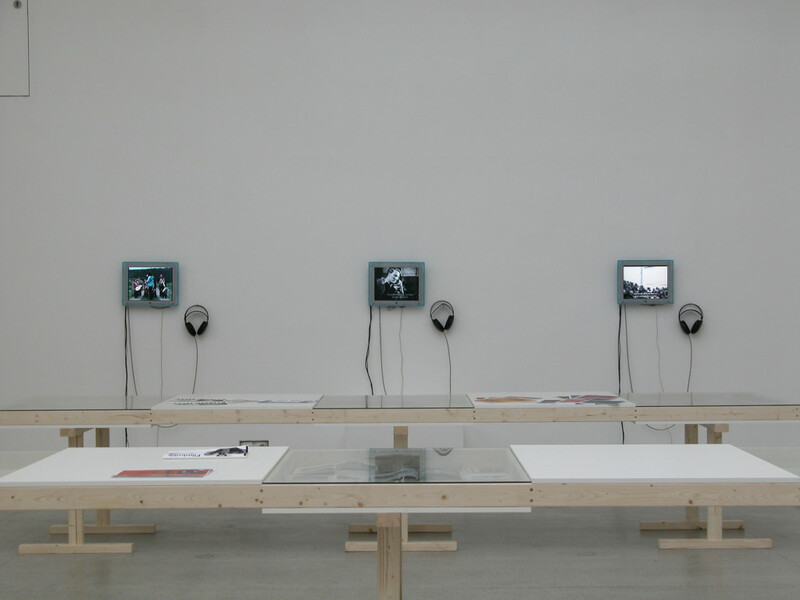 Fate of Alien Modes combines a variety of formats and media (drawings, installations, video works, architecture, interactive sound pieces, performances, films and indexical materials) with specifically commissioned contributions. All works included in the exhibition are either related to aspects of “screen” (as architecture) and “script” (as dynamic text), or record and investigate the visual, acoustic and narrative spaces emerging in between. For many of the internationally renowned artists and contributors it is a first-time presentation in a Vienna institutional context. The works range from investigations of the role of recollected female voices from Eastern European media archives in the interactive sound installation Ruta Remake by Lithuanian artists Nomeda and Gediminas Urbonas (Documenta11 participants), through an analysis of the gender politics contained in the voices of modernist (Hollywood) cinema by investigating issues of the voice and the primacy of the visual by Judith Barry (Voice Off, 1998), to a collection of film theory magazines from the 1920s to the 1980s. This compilation is understood to provide an indexical platform and includes—among others—a series of issues of the German journal Filmkritik selected by filmmaker and writer Harun Farocki (contributor from 1974-1984) and a section on the British publication Screen. 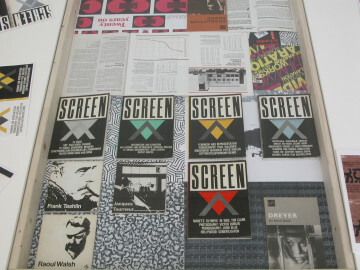 The author Mark Nash (Screen editor from 1978-81, co-curator of Documenta11), has compiled the section on Screen, which includes original issues, film clips and a selection of seminal historic texts with a focus on the 70s. Vienna-based set designer and architect Angela Hareiter was commissioned to develop a space situated between film set and installation piece, which focuses on issues of film lighting and special effects. Hareiter also designs the stage for the shooting of Greek/Austrian artist and filmmaker Penelope Georgiou’s new film, which will take place before a public audience. Thomas Bayrle’s installation Superstars (1993) joins mainstream cinema, art and early forms of New Media, while also creating an ironic link from the 1960s to the 1990s. Jack Goldstein’s work is on first-time view in Vienna, including the 16mm film MGM (1975) alongside a presentation of his record productions, among these the 6-part series Planets (1984) and another suite of nine 7-inch singles from 1976. 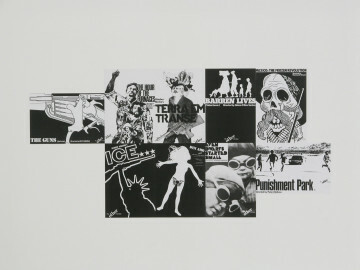 Unexpected, it is also the first presentation of Goldstein’s work after his sudden passing away in March of this year. 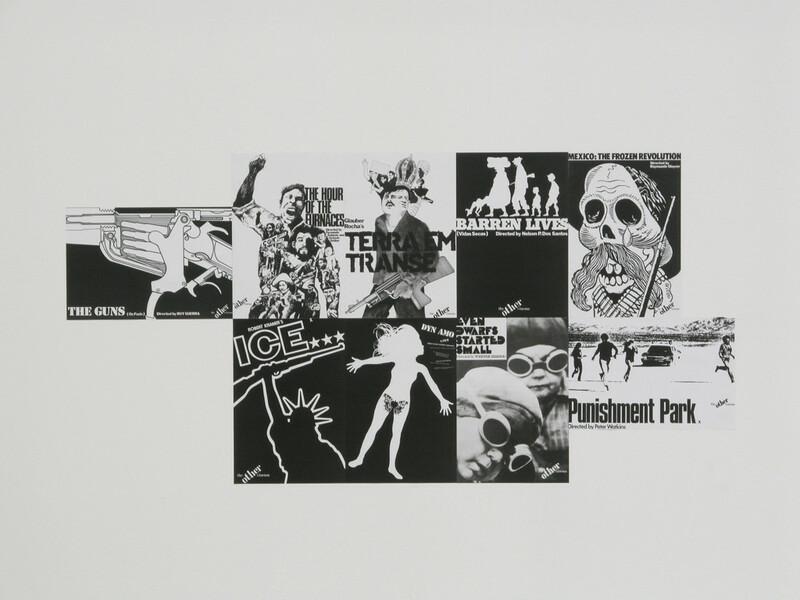 From the artist and filmmaker Morgan Fisher the exhibition presents the early 16mm film Production Stills (1970), the autobiographical found-footage 16mm film Standard Gauge (1984), as well as a series of drawings entitled Photogenic Drawings (2002). Screenwriter and director Rainer Kirberg develops a commissioned contribution for Fate of Alien Modes: an incomplete film, which translates the narrative of Gustav Klimt’s Beethoven frieze into the language of contemporary film genres. The work is divided into three parts, each representing one stage of a cinematographic production: screenplay, storyboard and actual film. 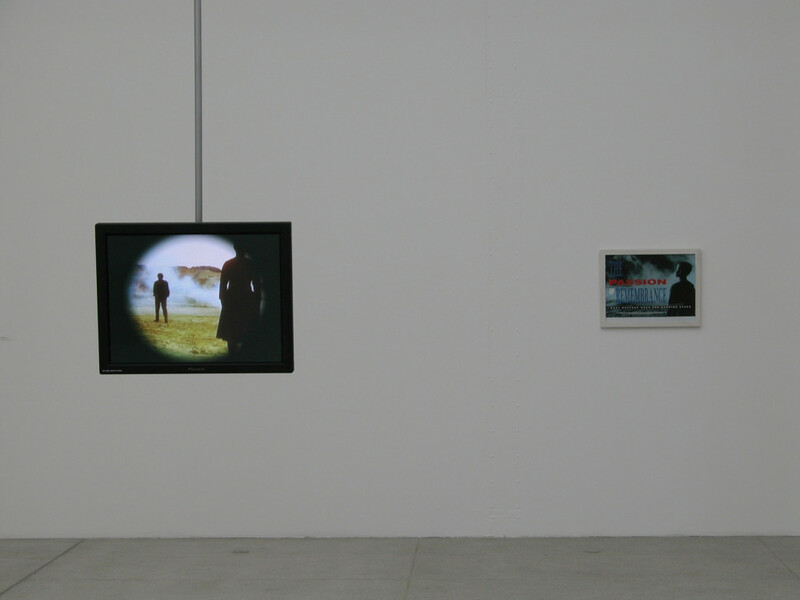 In his work Two Impossible Films, the artist Mark Lewis takes as his subject the history of films never realized: Sergei Eistenstein’s plan to adapt Das Kapital by Karl Marx for the screen, and Samuel Goldwyn’s idea to have Sigmund Freud write a screenplay for a psychoanalytic love story. British artist, writer and filmmaker Isaac Julien (Documenta11 participant) creates a new work specifically for the exhibition. Lost Boundaries (2003) is based on super-8 film footage from Julien’s personal archive, which he had recorded during the shooting of The Passion of Remembrance in the summer of 1986. This film was the first film ever made by the British Sankofa Film Collective, of which Julien was a founding member. His most recent documentary BaadAsssss Cinema (2002) on the genre of Blaxploitation cinema (including interviews with Pam Grier, Isaac Hayes, Melvin Van Peebles and others) will be premiering as part of the exhibition at the Vienna Film Museum, where Isaac Julien will be present. 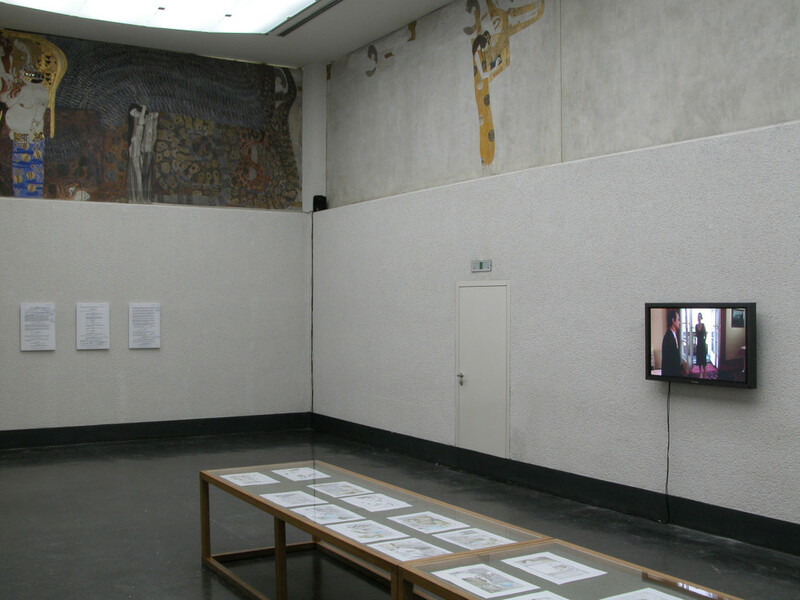 The exhibition further includes original scripts and materials ranging from director Ulrike Ottinger’s film script for Freak Orlando (1981) to film theorist Karl Sierek’s re-working and analysis of the 1925 script On a Filmic Representation of Freud’s Psychoanalysis in the Framework of a Feature-length Film (Zu einer filmischen Darstellung der Freudschen Psychoanalyse im Rahmen eines abendfüllenden Spielfilms) by Vienna-based psychoanalyst Siegfried Bernfeld. Additionally, Fate of Alien Modes will provide a wide range of publications and other reference materials inside the exhibition space as well as in the bookstore. A cinema space is embedded among the range of projects in the main exhibition hall. It is required as a method to explore historic foundations in methodical and indexical terms, to unfold the cinematic apparatus within, as each film deals with one specific aspect of cinema production. Scheduled daily programs include the classic Hotel Monterey (1972) by Chantal Akerman, Harun Farocki’s early film Erzählen (1975, Co-Director: Ingemo Engström), Elizabeth Subrin’s fictional documentary Shulie (1997), Babette Mangolte’s seminal work The Camera: Je or La Caméra: I (1977), Isaac Julien’s Looking for Langston (1989), and director and writer Noël Burch’s Portrait of Shirley Clarke (1996, Co-Director: André S. Labarthe), as well as a selection of films by Mark Nash, among these Michael Snow’s Rameau’s Nephew by Diderot (1974), Blackbird Descending by Malcolm LeGrice (1977), and History Lessons by Straub/Huillet (1972). This selection is based on a program compiled by Screen magazine for the NFT (National Film Theatre) in London in 1978.